RunawayTrain Productions in Denver, Colorado has just completed work on an instructional DVD for SPEED STACKS, “the leader in sport stacking” located in Englewood, Colorado. SPEED STACKS realized that to build awareness and interest in the sport they needed a comprehensive strategy. Educating new users was critical to their success so they called on RunawayTrain Productions in Denver, Colorado to create an instructional DVD. The DVD features a hands-on demonstration of stacking techniques from the most basic to those used by world record holders. 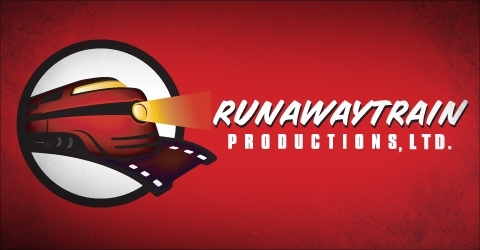 RunawayTrain added motion graphic animation, instructor interviews, and scenes of student “speed stackers” to create a comprehensive and compelling marketing tool. We’ll be the first to admit that the thought of “stacking a bunch of plastic cups in a PE class sounds downright silly—much the same as it did when in 1891, Professor James Naismith suggested we throw a ball into a peach basket on the side of a barn. But just look how far the game of BASKETBALL has come today! This “game” of stacking cups has its origins in a youth recreation center in southern California back in the early 1980s. Stacking has recently gained credibility in the fitness community as a viable addition to youth fitness. University studies on students involved in Sport Stacking have shown improvement in hand-eye coordination and reaction time; increased activation of both sides of the brain; improvement in reading comprehension skills; and energy expenditure similar to other activities commonly taught in physical education classes today. 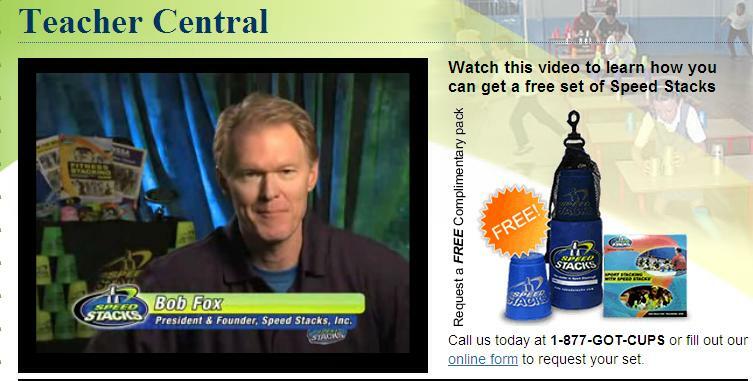 Part of SPEED STACKS’s business model is to sell stacking equipment, but they go well beyond a simple shopping cart model. Their website gives information to stackers about starting a club or finding existing clubs. They inform teachers and community leaders on the benefits of the sport. They operate an equipment loaner program. They publish a calendar of tournament events, and most recently started the PE4life/Speed Stacks Sport Pack Grant Program for underprivileged children.